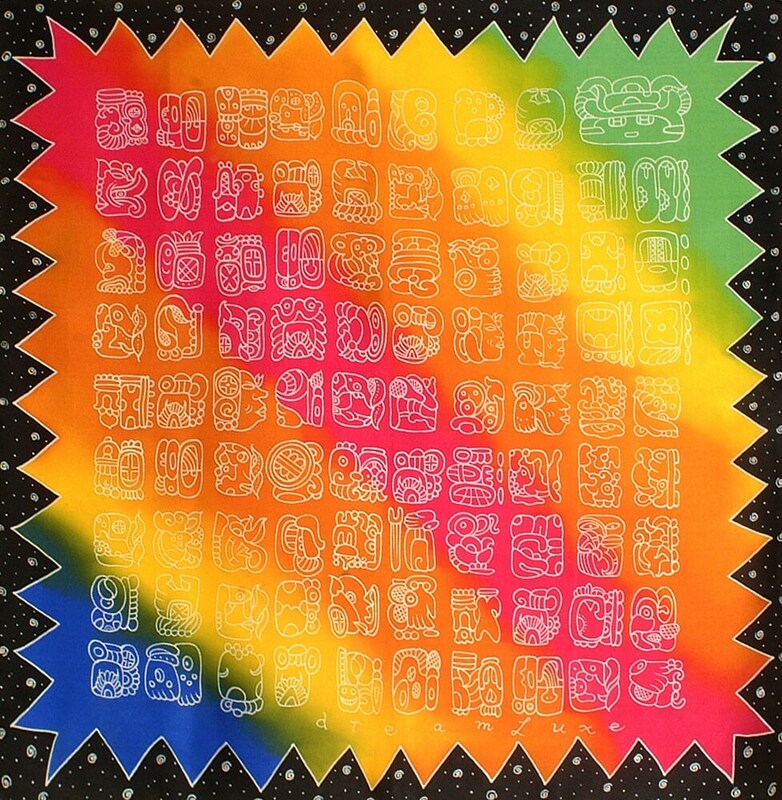 Unique Mayan glyphs pattern silk scarf. Colorful rainbow background. 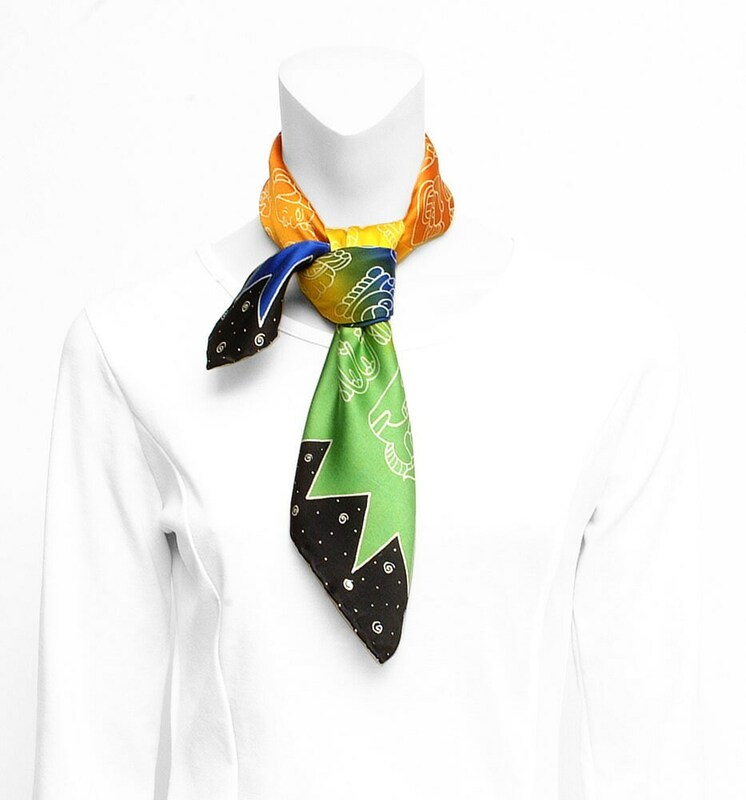 Luxury silk perfect as neck, head, or wrist scarf. Super soft silk. Looks great as a wall hanging too.